Distinctive Carpet & Tile | HOW DO YOU KNOW IT IS TIME TO REPLACE YOUR FLOORING? HOW DO YOU KNOW IT IS TIME TO REPLACE YOUR FLOORING? Your flooring is one the best investments you can make in your house, condo or apartment. How do you know it is time to replace your existing flooring and upgrade to a new look? Here are just a few signs that it is time. 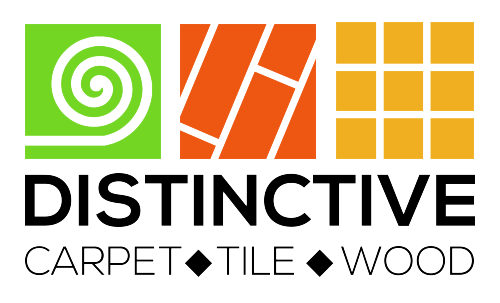 For a complete list, feel free to call a flooring expert at Distinctive Carpet and Tile. #1 – Your carpet is starting to look bare. One way to tell that your has begun to look ‘thread bare’. This occurs when the fibers of the carpet have been worn down over time and original color and/or pattern has begun to fade and is starting to look thin. Carpets do generally start to lose its color over time. However, there are certain factors that can speed this process up. Direct sunlight bleaches your carpets color. Keep your carpets as clean as possible by removing shoes in doors and treat all stains as quick as possible. Finally, if the corners of your carpet is looking thin and starting to fray, you should consider purchasing a new one. #2 – Your flooring is heavily stained. While most flooring has a coating on it, no flooring is completely stain proof. Accidents can happen. Over time, your carpets, laminate and tile, anti-stain coating will start to fade. While there are a range of sprays and shampoos you can use to remove stains, over time discoloration will happen caused by heavy foot traffic. #3 – Your flooring is really not pet friendly. Another reason it is time to change your flooring is your pet. Pets easily can scratch, stain and ruin your flooring. When choosing a future flooring, you might want to consider a vinyl or tile flooring. These types of flooring are more resilient to the wear and tear of pets are quite easy to clean. Stay away from carpet and hard wood floors. They stain easy and will wear down quicker over time. #4 – Your vinyl flooring has begun to fade Vinyl flooring is an attractive option and is more cost-effective. However, over time it can be worn down. Direct sunlight can lead to its loosing its color and luster. Heavy traffic and moisture can also cause it to bubble, peel and lift-up. A quality sub floor and vinyl will help your flooring look new for many years to come. Mold is the true enemy of your flooring and your health. It is a real danger and can cause serious allergic responses including skin irritation, asthma attacks, eye problems and sneezing. Your carpets is one of the most at risk types of floorings for mold growth, because the mold spores easily bind to carpet fibers. Areas that get commonly wet and/or are below ground level are highly susceptible to mold and you should best consider another flooring option. You can reduce the chances of getting a mold infestation by reducing the humidity in your house. Air condition, fans are dehumidifiers can help. Also, a quality padding beneath the carpet will help to absorb mold growth. #6 – You’re tired of your shade of wood Hardwood flooring, which may be more expensive is made to last a long time. It has an excellent resistance to water, spills and is harder to stain. However, wooden floors are easily scraped and get scratched. You need to be very careful when moving things around and walking on it. The good thing is that minor scratches can be easily repaired with waxes and polishes that can be purchased at your local Home Depot. You may want to replace your flooring to change the look of your room and increase your houses value. #7 – You are planning on selling your property A few things help to add to the value of your property. Kitchens, bathroom and flooring. Flooring is the most cost-effective way to get more for your property when selling it. Changing out the carpet or vinyl flooring will help to give your home a fresh look and make it look new again. You can also get rid of any floor stains or pet smells that have gathered in it over time. For more information and recommendations on how to maintain or upgrade your flooring, please call us today or schedule an in-store complimentary consultation.